Madbouly storefront in Talaat Harb Sq. Madbouly’s storefront on Talaat Harb has been a landmark of downtown Cairo for over 40 years. 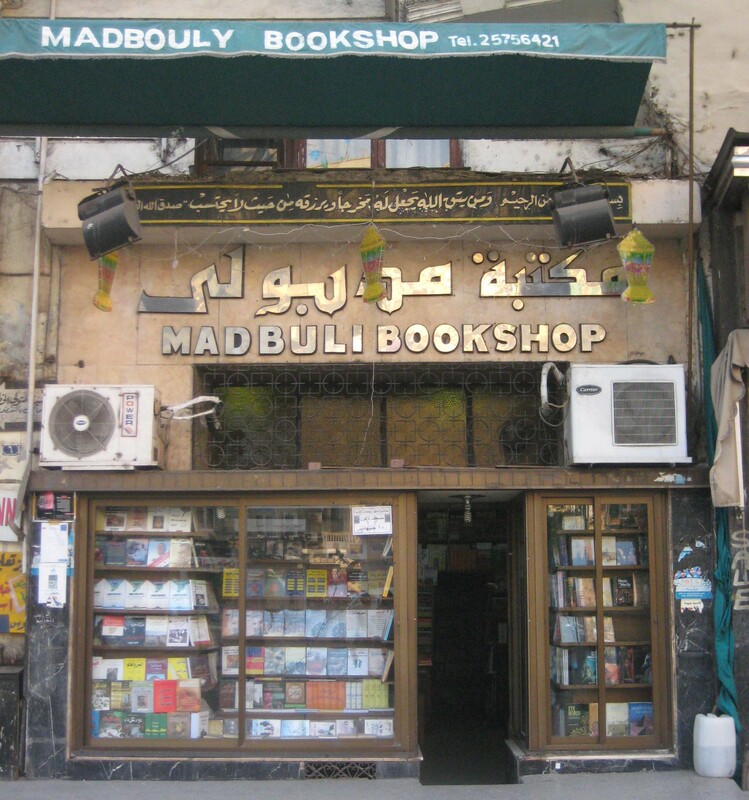 In 1970, Muhammad Madbouly realized his dream when he and his brother Ahmad opened the Madbouly Bookstore, expanding upon the small, wooden kiosk from which his father had sold newspapers and which the brothers continued to run alongside the bookstore until 1977. Following the death of al-Hagg Madbouly in 2009, the store and publishing house passed to his two sons, Muhammad Ahmad Madbouly (Muhammad Jr.) and Sayyid Ahmad Madbouly, who say they continue to honor their father’s commitment and values. Thus, while literature is certainly considered an important category of book published by Madbouly, it is not the focus of the house. That being said, this house has its fair-share of bestselling and even some controversial literary authors, including Alaa al-Aswany’s Yacoubian Building (Arabic edition: Merit, 2002; English transl. Humphrey Davies, AUC Press, 2004), and a near-exhaustive collection of Nawal Saʽadawi’s works, both fiction and non-fiction. The easiest way to get a Madbouly publication is to visit its extensive bookstore with its prominent awning in Talaat Harb Square. There you’ll find a range of literature, both modern and classical, and a good selection of religious and political texts. The lower level boasts a fair number of English titles and translations, both literary and other, many of which are from AUC Press. Here you can also find older (and often cheaper) versions of popular novels and collections of short stories that have gone through several print runs and publishers. 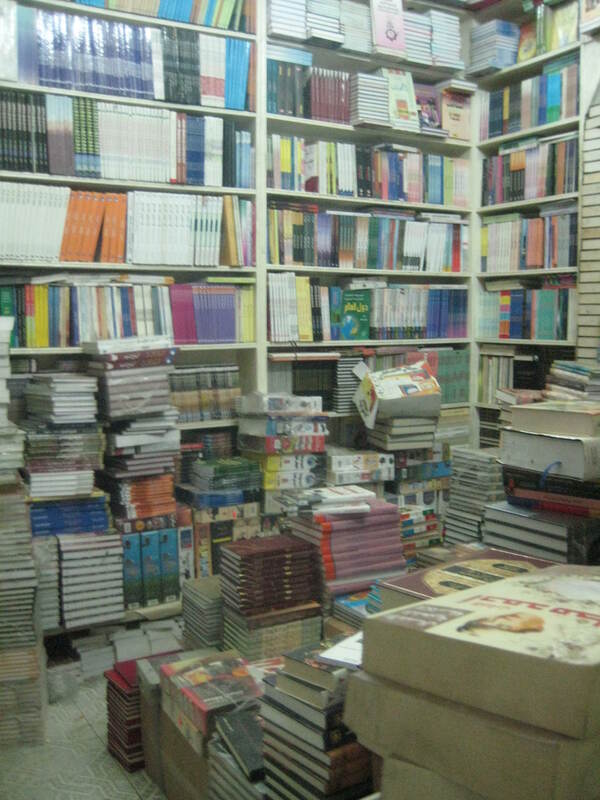 One of the perks of going here is that in addition to main store, you will also find on site a warehouse of the books sold in their store; it’s just around the corner and up the stairs. Madbouly employees are usually happy to let you into this part of the store, too. They might accompany you on your first visit or two, but if it’s clear that you’re a repeat visitor and like to browse, they’ll probably let you wander through at your leisure – just ask to see the khazana.